Scheduling interviews has never been this simple. "Reschedge makes interviewing a lot more pleasant." "I cannot imagine going back to scheduling without it." "With Reschedge, scheduling interviews is no longer a problem." "The app is a game changer and I couldn't be happier." "Reschedge is the most user-friendly scheduling tool I've seen!" "Reschedge has given me more time to work on other projects." "Reschedge has changed our recruiters' lives." 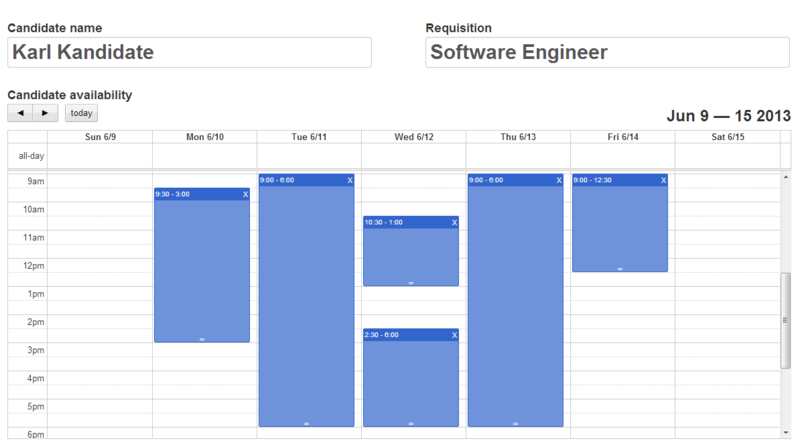 Scheduling interviews requires more. That's why Reschedge is the world's most advanced scheduling engine. That's why Reschedge is built for interviews. There's never been anything like it. You can feel good about scheduling from the moment you sign in. Rescheduling. It's called Reschedge for a reason. Reschedge's scheduling engine was carefully crafted to make last minute changes as easy as possible. Whether your interviewers run late, completely cancel, or cause a complete mess, Reschedge fixes it in moments. Start using Reschedge in an instant. From calendar and ATS set up to adding company contacts, getting started in Reschedge is easy. In just a few moments scheduling becomes easy forever. Which calendar system does your company use? Enter your Reschedge account information. By signing in you confirm that you accept the Master Service Agreement. By clicking "Sign up" you confirm that you accept the Terms of Service.